Anita Douglas, Director at Midlands-based leadership and management training firm Leading Results, is celebrating after qualifying as a Chartered Occupational Psychologist. Anita Douglas started her studies 15 years ago when she made the move from a retail role into training and development, beginning with a BSc Honours degree in Psychology, followed by an MSc in Occupational Psychology and finally the British Psychological Society’s qualification in Occupational Psychology (Stage 2), a Doctorate level qualification. 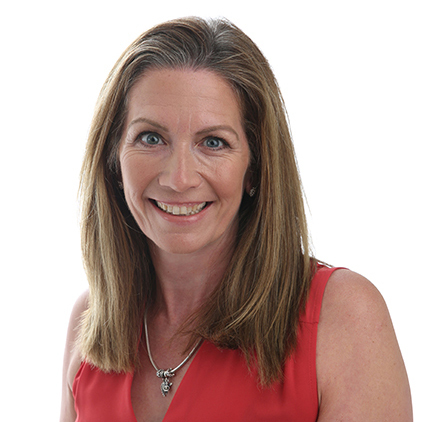 She is looking forward using her new-found qualification and specialist knowledge to enhance the support her company provides to business leaders and managers aiming to grow themselves and their staff. Anita, who runs Leading Results with fellow director Doreen Yarnold, says: “Occupational Psychologists apply a range of psychological principles – how people think, act and react to the world of work, with the aim to optimise job satisfaction, engagement and performance. At Leading Results, we have a deep understanding of what makes people ‘tick’, so we design our workshops to shift beliefs, change behaviour and deliver results. Our ethos is ‘keep it real, keep it simple’ so we always build practical exercises and activities that are easily transferred to the workplace into our workshops. We also use theoretical models where they add value to the learning. Anita plans to continue her own learning and development as well training others to achieve their goals. “I love to learn and will never stop,” she adds. “In fact, due to a new-found interest in triathlons, I’ve just signed up for a course in Sports Psychology! I have a picture on my desk of a Chinese proverb ‘To shun learning is to walk in the dark’. I’ve always set aside 5-10% of my earnings to invest in my own growth and development. For further information on Leading Results, visit www.leadingresults.co.uk. Previous post Helping your team members GROW through coaching Next post Stress in the workplace: What can be done to minimise its impact?